Every Tuesday, I participate in the Slice of Life challenge at Two Writing Teachers. If you want to participate, you can link up at their Slice of Life Story Post on Tuesdays or you can just head on over there to check out other people's stories. For more information on what a Slice of Life post is about, you can go here. Yesterday was a fun bookish day. Now that teachers and students are back in school, I have more opportunities to recommend books. What's really cool is that family members ask me for book recommendations, too. I love that. 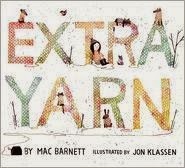 Last week, I shared Extra Yarn by Mac Barnett with illustrations by Jon Klassen with the Coordinator of Elementary ELA in my district. 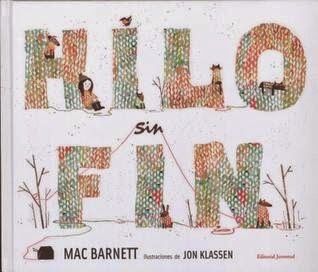 She was sharing with me that she's looking for more books in Spanish and I just happened to grab Extra Yarn in Spanish as the library - Hilo Sin Fin. The Spanish translation is amazing and I was excited to be able to bring both copies for her to look over. Today, when I got back from a school visit, I found both books on my desk with a sticky note thanking me for sharing them with her. She loved them. My sister came over tonight to watch the kids. My husband had to leave for a meeting before I was home so she stayed with them for a couple hours. 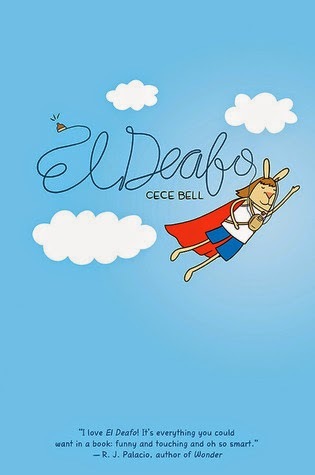 After I got home, she stayed for a bit and we talked about the kids and work and my writing when i spotted El Deafo by CeCe Bell in a stack of books. I gasped, grabbed it and handed it to my sister. "You have to read this," I told her. That's all, nothing else. She looked at it, frowned at it, but then she opened it and started reading. I got up and walked into the kitchen, made myself busy, let her read. When it was time for me to get the kids to bed and she packed up to leave, she asked, "I can take this with me, right?" Of course, grinning, I told her, "Of course." I can't wait to hear what she thinks. And to top it all of (ha!) a friend texted me today to share that her kindergarten daughter gets to bring a book to share with her friends on her birthday instead of cupcakes. How fun is that?!? She wanted to know which book I would recommend. 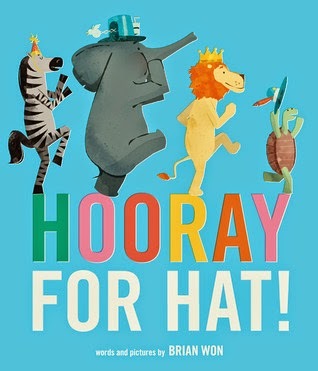 I immediately thought of Hooray for Hat! by Brian Won. I love this sweet fun story and think she'll love it, too. I also think Pete the Cat (the original) by Eric Litwin, Please Bring Balloons by Lindsay Ward, and Flora and the Flamingo by Molly Idlo would be great, too. It's pretty fun being known as the bookish friend. I'm always happy to share books I love and finding a book that matches someone I care about is quite possibly one of the best feelings in the world ever. What's your favorite, or most recent, book recommendation story?! Please share! Little Elliot, Big City Blog Tour and Giveaway! Happy 2014 International Friendship Day! Let's Celebrate the 2014 Walden Winner!